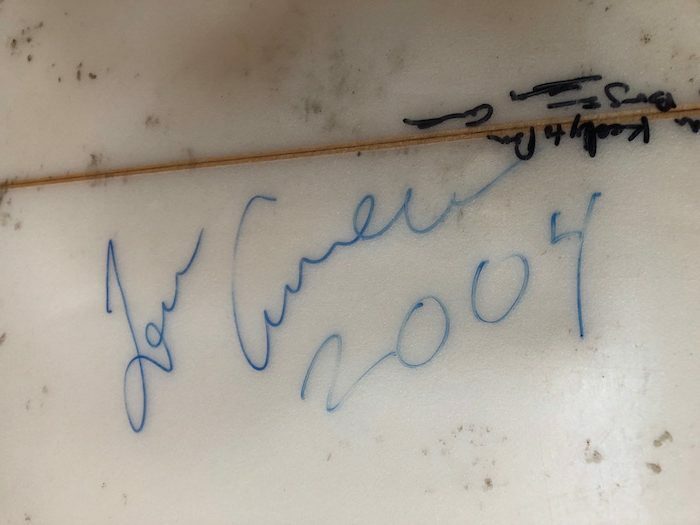 6’1 Kelly Slater & Tom Curren personal quad-fin shaped by Al Merrick in the early 2000’s. 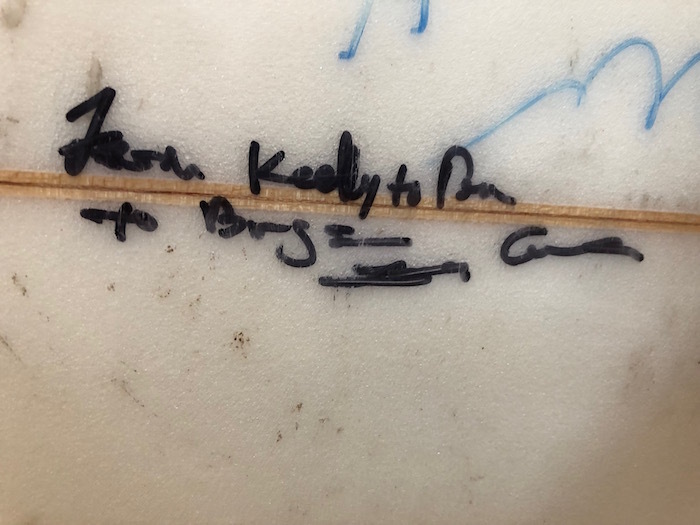 This board is very unique in that it was made for Kelly Slater (11 time world champion) but was later given by Slater to Tom Curren (3 time world champion). Amazing collectors piece owned by two of the very best surfers of all time. All original condition.